K Vilay: Welcome to the Parentz Pod, the Arizona baby and toddler podcast from First Things First. I’m K Vilay. Today, we’re going to talk about reading. Every parent wants their child to be a good reader and to enjoy reading because it’s so important to being successful in school and in life. But a lot of people think learning to read just happens for kids as they grow up but that’s not the case. It’s a skill that needs to be learned and reading is the result of a development of a bunch of other skills that come before it. It starts with language, with hearing sounds and words and conversations. So there are some important things that parents should know and do with their little ones starting from birth that will help them be ready to learn to read and be successful in school. We’ll talk about all of this with Jenny Volpe, the CEO of Make Way for Books in southern Arizona. But before we go to Jenny, I’d like to let you know a little bit more about First Things First. 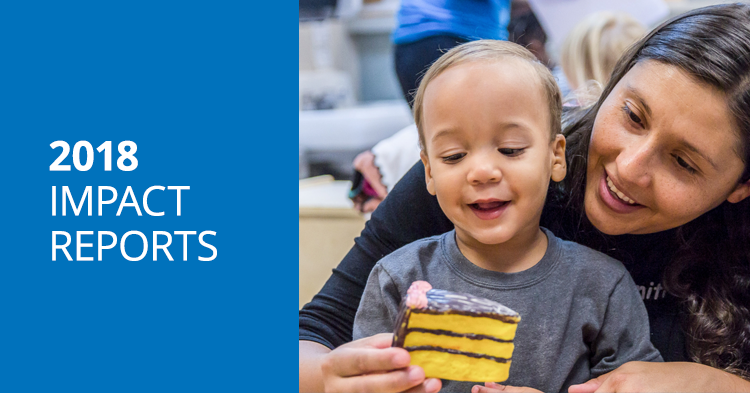 First Things First was created by Arizonans to support the development, health and learning of children from birth to age five so that Arizona’s kids can arrive at kindergarten ready to succeed. We work in communities across the state and support early childhood programs and services that help parents in their role as their child’s first teacher. 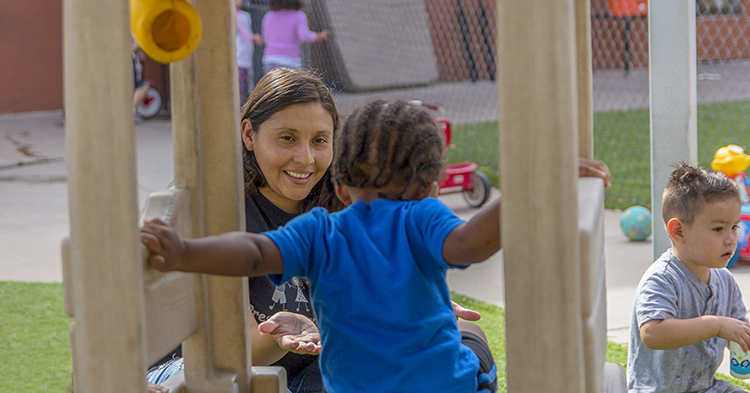 We also lead the effort to improve the quality of childcare and preschool in Arizona. That’s called Quality First. All in all, we’re part of building a strong early childhood system in Arizona to help our kids get off to a good start in life. To learn more and get involved, visit us online at FirstThingsFirst.org. you’ll enjoy our conversation. Welcome, Jenny. Thanks for coming in today. I wanted to talk to you more about reading. Can you tell us why reading is so important? ability to read. And really, they need to read to be able to learn content. To do math, you have to be a great reader in fourth grade. To learn any, social studies for example. Any skill pretty much after fourth grade, a child is really, must be a really effective reader to successful navigate school. And we know that unfortunately if a child is a struggling reader like I said it’s that third grade pivot point that they are four times more likely to drop out of high school if they’re not an effective reader. K Vilay: Oh, my goodness. And certainly, then too reading has an impact later on in life. employees that are actually struggling with that kind of literacy. So it’s really important for any work in the world to be a great reader. K Vilay: So definitely important in school and in life after. K Vilay: So for a lot of people, they think kids automatically kind of learn to read. Is that true? Jenny Volpe: No. It’s absolutely not true. And again, just a little bit about my background is I started off as a reading teacher, a fourth-grade reading teacher. And then kind of really understanding more of the science of reading, how that actually works, got really keyed into the importance of early learning, kind of those skills that are the building blocks of becoming a great reader. And it truly – to become a great reader it takes a lot of experiences in those early years to develop what we call emergent literacy skills. Yeah. And so, these emergent literacy skills are really what sets up a child to eventually break the code. Right? So to be a reader, it means a few different things. It’s understanding and decoding the language. But then most importantly it’s becoming a great meaning maker. It’s knowing how and easily to make meaning from what leaps up from the page. And that’s – there’s an intricate network and a lot of science behind it. K Vilay: So we don’t come out born learning, knowing how to read. So how does a parent support their infant or their little baby even when they come home from the hospital? Jenny Volpe: Absolutely. And reading really does start at birth. To become a great reader, first it’s all about immersing your child in really rich language. So for example, what that looks like for an infant is the opportunity to sing to your baby. Right? 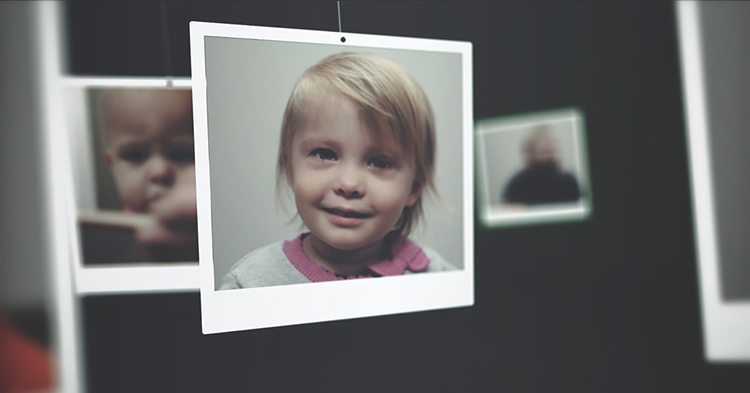 It’s the opportunity to – we tell parents to simply narrate your world, narrate what you’re doing. So in other words, tell the story when you’re changing your baby’s diaper. Tell your baby what’s happening because really, even though a baby can’t respond, the brain is fascinating. K Vilay: All those cute sounds they make. Jenny Volpe: Those cute sounds. Those cute sounds are a brain connection. So that, they’re all about these wonderful connections. And I know that the Harvard Center for the Developing Child just came out with another new, they’ve revised the science that we know now that in those birth to three years there are a million possibilities for brain connection happening in those birth to three years, per second. So a million connections possible per second. So that baby’s brain is working fast. So as an adult you have this incredible opportunity to really do very simple things from the get go to assure that your child becomes a great reader. And really there are ways to even break down for example the kind of – it’s easy to know how to talk to your baby. Locally we have a wonderful campaign called Smart Talk. And it really helps parents understand exactly how to do the talking. For example, its about simply describing your day even asking questions, right, to a baby. Because once you ask the question you are, even if the baby or toddler can’t respond back verbally, you’re actually expecting them to respond. And we know the science is crazy cool. Because you are expecting a baby to respond, you’re actually making their brain exercise and work and you’re developing this really important part of their brain that allows them to later on not just become a great reader but actually have great, they call it executive functioning. So it’s great ability to control their impulses to be able to take turns because simply by asking them a question and giving them the time to respond you’re actually doing – they’re required to do a lot of brain work. Jenny Volpe: Absolutely. And one of course easy way which we are sharing with parents all the time to help your child become a great reader, to get all of that great, juicy brain development is to simply share a book. Right? Because books are – they’re this perfect mechanism for these kind of really important back and forth conversation and interactions with your very young child. And it’s important to understand that you can read a book to a baby and you can read a book in very simple ways. You can narrate pictures. You can do all kinds of – there’s very easy ways to share books with very young children. K Vilay: So talking to your child throughout the day, everyday routines when they wake up, when they have a meal, bath time, sleepy time, play time. K Vilay: And then we can incorporate books in that day. Jenny Volpe: Absolutely, throughout the day. what you want to do is whenever you’re sharing a book you want to engage them in a way that really asks them to respond back. K Vilay: Great. One of the things I hear from parents about their baby, she wants to put everything in her mouth. K Vilay: How do I keep the paper book and pages out of her mouth? Jenny Volpe: Yeah. Well, you know what? She’s actually developing what’s called book handling skills. Even by mouthing a book a baby is actually learning how books work. So on some level, that’s ok for a baby to mouth a book. And what we like to say really you may – so your six-month-old there are different, there are special kinds of books that are really appropriate for her. Right? So it could be a cloth book that she can easily have to play with. It’s soft. Right? And then there’s what we call board books that you can find anywhere. K Vilay: Oh, I think I’ve seen those. Jenny Volpe: Yeah. You know board books. Jenny Volpe: Yes. And so, they’re very thick and very appropriate for your baby and then as she grows to be close to a year old, she’s going to be able to help turn the pages. Right? And so really the fact that she’s mouthing a book now, it means you’re helping make her a great reader. So because you’re allowing her to just understand how books work which is very important. So for example, I was a kindergarten teacher and I could tell right away on the first day how many children had even, have had the experience of simply opening and closing books, turning pages. So for example, on that first day I had children that didn’t know how to open a book. Right? They didn’t know how to orient the book. But your baby at already six months old, you’re giving her that skill. K Vilay: Oh, good to know. So being a kindergarten teacher, is the idea that I have to get – as a parent I have to get my child ready and they need to be reading by the time they get to kindergarten? these very specific prereading skills that will allow them to become a great reader. And so absolutely not. A child does not have to know how to read before they start kindergarten. K Vilay: Oh, that’s really good to know. Jenny Volpe: Yeah. And it’s actually if you put stress on a very young child to have to read, it actually can do a disservice to that child because really at this age level it’s really about we know that when a child has what’s called print motivation which is exactly like how it sounds. If a child is motivated, they want to hear stories, they go to books with a love and joy, they are more likely to become great readers down the road. But if you force a child to start to read before they’re ready, it causes too much stress and that reading will not be a very enjoyable activity for them. worried that I have to do that too. Jenny Volpe: No. Please, please do not worry. What your job as a parent in these early years is to encourage a love of language and books with your child. So absolutely not. Please don’t buy into that. It’s really, there isn’t science behind that and you really – you do not need to do that. Absolutely not. But what you can do is share books throughout your day. What you can do is when you’re driving in your car you can point out what we call environmental print. So for example, like even pointing out signs that you see. Let’s say at the grocery store you go to or just helping your child discover that print is all around us and that you’re helping your child develop what’s called a concept of print which then helps them understand that these jumbles of letters that they don’t have to know how to read yet. These jumbles of letters are what create meaning. And so, you’re priming their brain to get ready to be able to want to make meaning from those letters. down the road I can point out things like the stop sign. K Vilay: Or the store signs. K Vilay: That we see around us. Jenny Volpe: Yeah. And the grocery store. That’s like – I mean the grocery store is like a world of literacy is possible as you’re shopping with your young child too. So as you put things in the cart, for example if it’s a box of cereal you can – as you put it in you can say oh this is the cereal we love and you point to the title on the box Cheerios or whatever it might be. That environmental print is a great way and it’s a great way to use your everyday activities to support your child’s language and literacy. K Vilay: And what about screen time? Are they learning language from that too? we know that when you put that kind of visual in front of a very young child, it shuts that part of their brain off. They don’t have to do the work. So for example, it’s the same part of the brain that we know now when a child is being read to at a very young age, it’s this part of the brain that relates to visualization and memory. And when a young child is being read to, they’re actually being forced to make mental pictures in their mind. So for example, if you, if I was listening to a story that you were reading and you said “the cow jumped over the moon” in my little mind I would have to picture oh, a cow. I know that. Oh, a moon. I know that. And then I put it together in my brain and that’s exercise for my brain. K Vilay: And using their imagination. Jenny Volpe: Exactly. And what’s so cool about this is that we know now from the science that it’s the same part of the brain that children when they are older readers, they’re not looking at story books anymore but they’re reading books on their own. They have to use the same part of the brain to make meaning. And so, for example when I was a reading teacher in fourth grade, a reading specialist I would have to teach, go back and teach struggling readers to stop and make these kind of mental images that come very naturally to young children when they are having to listen to stories. So the minute you put a screen in front of a child, especially in those earliest years, birth to three, you take that brain exercise away. And it’s really a disservice to children. And we know that unfortunately about half of parents locally – and it’s similar nationwide, have the understanding that a child can learn more even from watching television than from the interactions with them. But you as your child’s are your child’s first and most essential teacher. And all of the interactions that you have with your child are better than a screen. K Vilay: Yeah. It sounds like it’s sort of one-way communication. There isn’t turn taking. There aren’t questions being asked and answered. a great reader but really all of their future learning in reading, writing, math and even their social emotional skills. It’s very important. K Vilay: You’ve mentioned quite a bit of the research throughout our talk today. And that conversation and that turn taking and the brain development that happens and the language development that ultimately results in the child’s learning to read once they get to school. And so, I’m wondering about vocabulary now. So in everyday talk there are words that are used in describing all the events that happen all throughout the day. K Vilay: Again, waking up, nap times, meal times, bath times, play times. How do you – how do parents increase vocabulary? So the words that we use every day might be different than what eventually you might be reading in a book. story books or those beautiful picture books contain more rare words than we know than even than you and I would say together as college graduates and talking to each other. And there’s another fascinating stat that these storybooks have such – there are more rare words than even expert witness testimony. So by simply sharing these beautiful picture books you allow – you get beyond kind of our everyday business talk like eat your dinner. Books provide this really incredibly rich opportunity for children to develop this amazing storehouse of vocabulary that they’re going to then use later on. And so, books are a very easy way to do that. And I know there’s been a lot of talk about a word gap. And so, as a parent you might be hearing about for example there’s a 30 million words initiative kind of around the country. And really as a parent you don’t need to be worrying about so much about just flooding your child with word after word after word. It’s really more about the quality of the conversations that you are having together. And that’s also where books really do a great service and come in to help you. Because if you share a book with a child, you’re inevitably going to have the opportunity to dive into not just a wonderful story together but these storybooks that have words like – for example I just read one with my niece, this very funny book about a bear called A Visitor for Bear. So if you’re a parent out there, you haven’t read that book, check it out. It’s very funny. K Vilay: A Visitor for Bear. brain. Inevitably, if you are describing your day and you’re having these rich back and forth conversations together, you are doing that great work of really supporting your child’s language and literacy. K Vilay: Oh, that’s a relief. So I don’t have to have a huge vocabulary. I was thinking I’d have to go through the dictionary and make flashcards. Jenny Volpe: Not at all. And what we do – we do a lot of work with families who speak not only English but another language. So we have a lot of Spanish speaking families and we do work with families that have – do a language and we want to make sure that parents understand too that talking to your child in any language, in the language you say I love you is what develops their brain. And so please don’t be thinking that either only reading in English is going to support your child’s development. Children learn these very important prereading skills and also that important brain exercise I was talking about. It can happen in any language. The importance is just this wonderful back and forth interaction. And so please read, talk in the language you are most comfortable in because it’s really an asset to your child. K Vilay: And using multiple languages, is that a problem? Jenny Volpe: Not at all. Young children can easily learn how to navigate both languages. We do a lot of work with families helping them understand the benefits of a bilingual brain and a biliterate child. And so, it’s absolutely the biggest advantage you could actually give to your young child is working in both languages. And so there might be a little – they might have to learn how to navigate back and forth but ultimately, they work that out and it really helps them down the road. K Vilay: So it doesn’t harm my child by even singing in a different language other than English or even English and another language? Jenny Volpe: No. It’s an incredible strength. You are actually doing a great service to your child by doing that. have that communication two-way street with your child and read, read those wonderful picture books. Jenny Volpe: Yeah. And what we tell parents too is any picture book can be used almost like a word list book. So for example, I could use a picture book as a parent to narrate almost any story. So if I actually may even have low literacy myself or this book is not written in the language that I’m most comfortable in, simply take the opportunity to use the pictures and tell a story that with the pictures to your child. That is going to do the same thing that actually reading those exact words on the page will do for your young child. It will support their literacy, their love of stories and their language. reading picture books all the way through, what’s happening as you’re driving to the grocery store and talking about all of the print that you see in the grocery store. Now as an adult too is there anything I can do additionally to support my child’s development and reading. Jenny Volpe: Yes, and this is key. So what you can do as an adult is really help your child understand that books have meaning for you. So in other words, any time you are reading a book or looking through the newspaper, your child absorbs the value of reading. And there’s actually a fascinating, it’s a 20-year global study that says when a child sees books in the home, that they are likely to become a reader. And so, it actually, being surrounded by print is even more important than a child’s education level or job. It’s like this idea that if you’re surrounded by print, you get this value and urge to read yourself later on essentially. pick up a book, a magazine, a newspaper, reading through it. So they might not be reading to their child but they’re reading or their own benefit and the child is watching that too. Jenny Volpe: Absolutely and so that child is absorbing, noticing that print all around them and that they’re in a home where books matter essentially. And it’s one of the reasons why – so we do programming for very young children and their parents. And of course, we give books families for their kids but we actually also make sure we support, we give books to the adults just for them because that’s – it’s such a key ingredient to having that really solid foundation for literacy. K Vilay: Great. Thank you. One last thing, Jenny. Is there anything that parents ask you on a regular basis? that you can go and use if you go to our website makewayforbooks.org you can be directed to download a free app that allows you, helps you kind of navigate your public library and how to choose the best books for your children. And another thing we hear from parents is kind of how often should I read. There’s like this prescription of 20 minutes. And I just want to reiterate that really you must – when you’re sharing a book with a young child, you just have to follow your child’s lead. And so sometimes that’s going to be five minutes. It might be 25 minutes. Whatever is fascinating and interesting for you and your child to keep sharing books. K Vilay: So I shouldn’t have to fight and struggle. K Vilay: To sit down and read a book. Ok.
Jenny Volpe: Exactly. Yeah. So it’s supposed to be fun for both you and your child. So and again if you want any tips on how to do that, please you can check out makewayforbooks.org too to help. K Vilay: Thank you, Jenny. Beautiful. All right. That was good stuff. Now this is the things you can do part of the Parentz Pod. When we talk about how you can connect with programs and services in your Arizona community, to get more information or to get one on one support. If we’re talking about books and early literacy, a great place to start is with your local library. They have story times and other programs specifically for little ones and the librarians can help you find books and give you tips. The library can be a really important wonderful place for you and your child. If you don’t already know where the nearest branch is to you, just go to Google and search for the public library. That’s number one. Jenny also mentioned smart talk. You can learn more about it at readonarizona.org. They have some great videos and other resources and you’ll see how easy it is to bring words and conversation to your child. Read on Arizona, smart talk. And First Things First funds programs in all areas of Arizona that can help you support your child’s language and literacy development. Some provide books. All of them are free and welcoming and can help you to help your child learn and set them up to be successful readers. 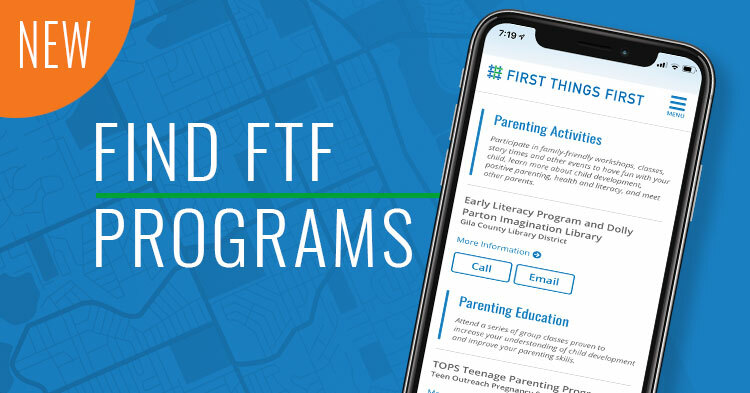 To find programs near you, go to the First Things First website, firstthingsfirst.org and find your local First Things First region. You can get in touch with First Things First in your local area and find out more about the programs available near you. The Parentz Pod is brought to you by First Things First. First Things First is committed to supporting the healthy development and learning of Arizona’s young children from birth to age five. For more information, visit us online at firstthingsfirst.org.